Students from Physics, Algebra 2, and Biology classes were treated to Q+A with former Air Force pilot and NASA engineer Les Cromwell. Students from Physics, Algebra 2, and Biology classes were treated to a talk and Q+A with former Air Force pilot and NASA engineer Les Cromwell. 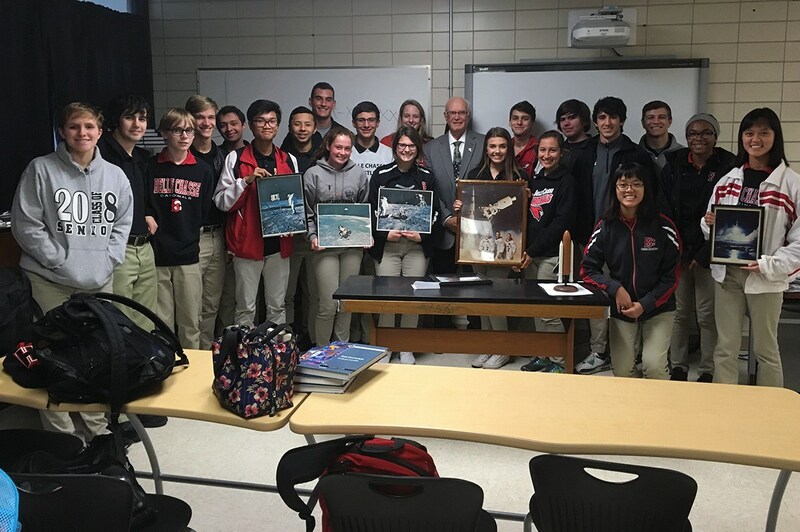 Mr. Cromwell shared stories about his career in the military and how he ended up helping design the Saturn V rocket among other projects. Thank you Mr. Cromwell for sharing your time with us!